Construction Insurance: Coverages and Disputes addresses extensively the duties of the parties to an insurance contract and deals with Comprehensive General Liability, Architect/Engineer, and Builder's Risk policies. Construction Insurance: Coverages and Disputes focuses on the three most prevalent forms of insurance used in the construction field: the Comprehensive General Liability (CGL) policy, the builder's risk policy, and the architect/engineer's liability policy. 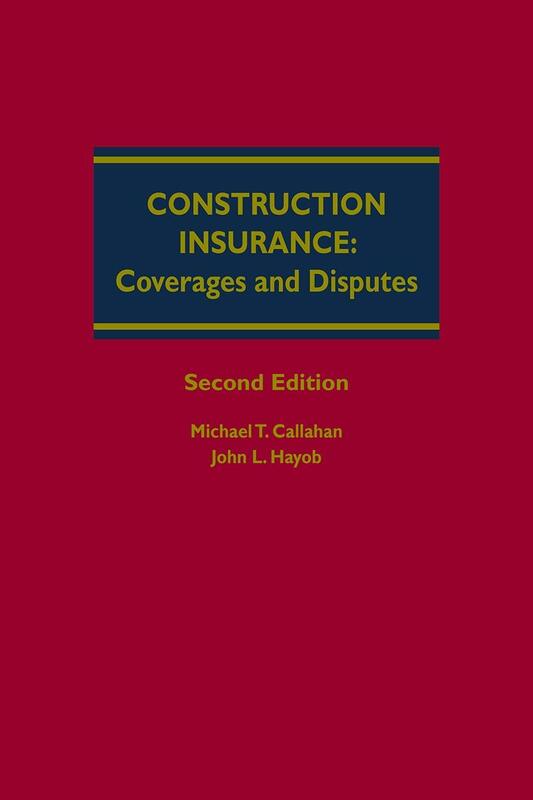 Construction Insurance attempts to synthesize the wide-ranging decisions and statutes interpreting insurance policies used in the construction industry, acknowledging that the diversity among jurisdictions in the treatment of insurance contracts is an accepted part of the field. 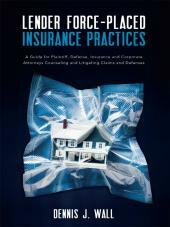 The chapters discussing the three major types of insurance policies used in the construction field are intended to provide a comprehensive survey of the principles and case law relating specifically to those policies. 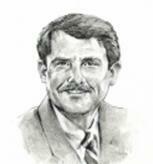 Michael T. Callahan has been involved with the intersection of construction and law for over 40 years. He is president of CCL Construction Consultants, Inc. He maintains an active international consulting practice in the measurement and responsibility of delay, along with the quantification of additional performance costs and other construction and design-related matters including suspension and delay to First of a Kind project design. Mr. Callahan is an independent arbitrator, negotiator, mediator, and consulting expert and witness. 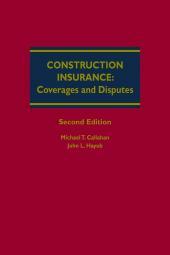 In addition to Construction Insurance (2nd ed. ), he has authored other LexisNexis and Wolters Kluwer publications, including Construction Delay Claims (6th ed. 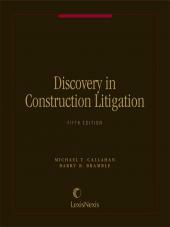 ), Construction Change Order Claims (3rd ed. 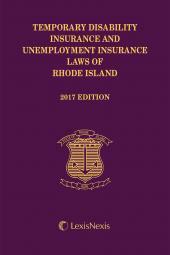 ), and Termination of Construction and Design Contracts; and other books for other publishers. Mr. Callahan earned both a J.D. and an LL.M. from the University of Missouri-Kansas City. He was an adjunct professor at the University of Kansas and has lectured throughout the United States, Europe, the Middle East, and the Far East on design and construction claims, their avoidance, and their resolution. Author queries are invited at CCL's website, cclcc.com. John L. Hayob is a shareholder in the Kansas City law firm of Brown & Ruprecht, PC, where he practices in the areas of insurance and coverage litigation, civil litigation, and torts. He has been selected for inclusion in Missouri and Kansas Super Lawyers (2008-2017). Mr. has been selected by his peers for inclusion in The Best Lawyers in America© in the area of Insurance Law (2013-2017). Mr. Hayob regularly participates in seminars and presentations involving insurance related issues before professional and industry groups. He is a member of the Kansas City Metropolitan and American (Tort and Insurance Practice Section) bar association, The Missouri Bar, and the Missouri Organization of Defense Lawyers. Mr. Hayob is a past president of the Kansas City Claims Association. He earned his A.B. degree from the Rockhurst College and his J.D. degree from the University of Missouri at Kansas City. Mr. Hayob also has a mediation certification from the University of Missouri-Columbia School of Law.